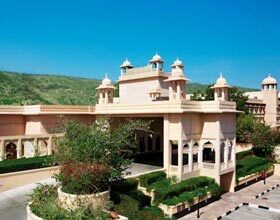 Address: Jaipur Delhi Highway, Kukas, Jaipur, Rajasthan 302028 India. 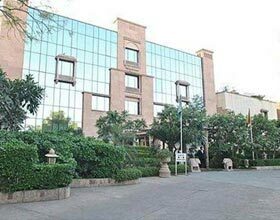 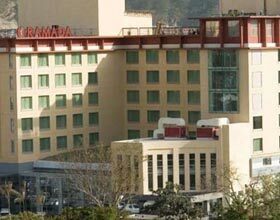 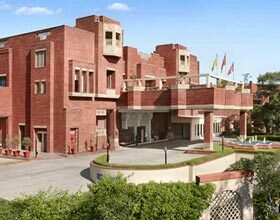 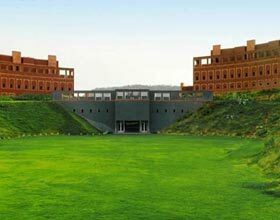 Rajasthali Resort & Spa Jaipur is an opulent resort nested centrally in the Pink City of Rajasthan, on Delhi Jaipur national highway. 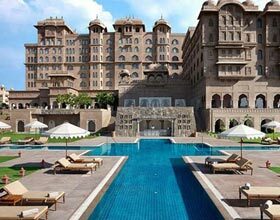 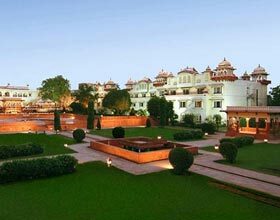 A jubilation of glorious rich culture, awe-inspiring royal Rajasthani architecture and vibrant regional traditions, this grand resort is a delight for lodgers. 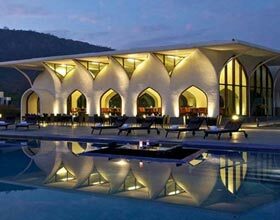 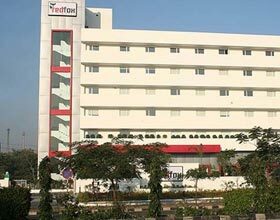 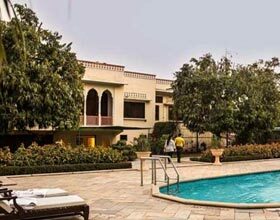 Guests relish unblemished staff, immaculate services and warm hospitality along with picturesque vista exhibiting exquisite fusion of scintillating Aravallis and princely Rajasthan. 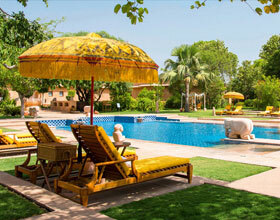 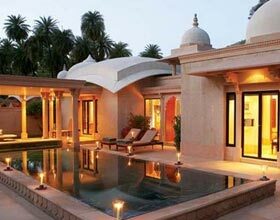 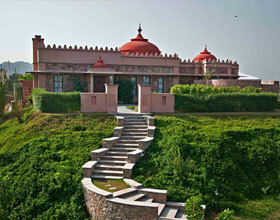 Rajasthali Resort in Jaipur boasts of its rejuvenating spa services, lavish swimming pool and spa tub. 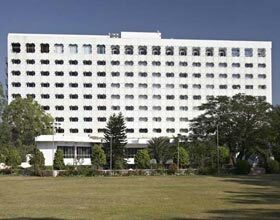 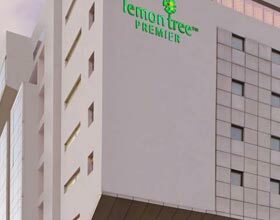 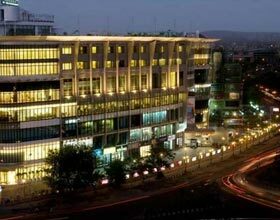 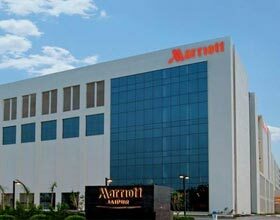 Round the clock business center, furnished banquets including The Vice Regal Hall and green lawns makes this resplendent resort an ideal destination for corporate meetings, product launches and royal sumptuous weddings. 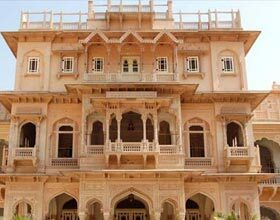 This palatial resort is a gem in the heritage city of Rajasthan for its apt location within the proximity of all famed tourist sites of Jaipur and nearby kingdoms including Amer. 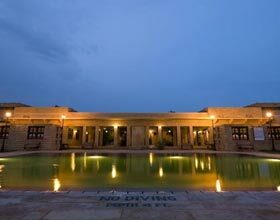 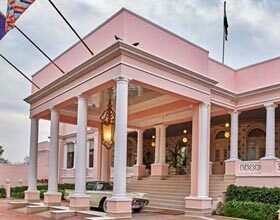 It is perfect treat for guests to enjoy princely conviviality amidst hustles of Pink City while they are on an historical voyage. 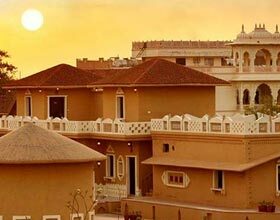 The 53 contemporarily facilitated accommodations of Rajasthali Resort & Spa Jaipur are classified into Premium Palace Room, Deluxe Palace Room, Royal Luxury Tent, and Grand Luxury Tent. 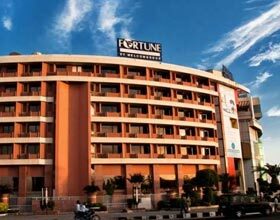 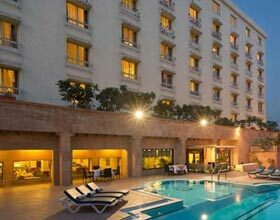 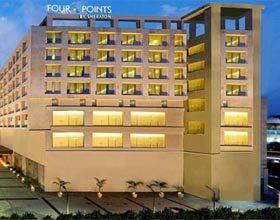 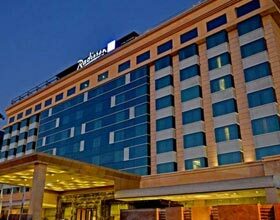 All guest rooms at this luxury hotel in Jaipur are equipped with regal furniture, majestic king sized beds and comfortable beddings. 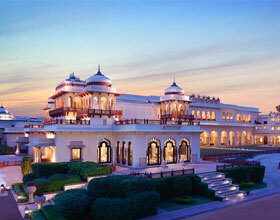 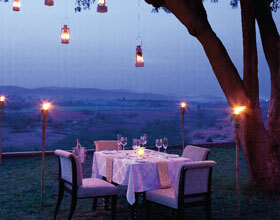 Tents and rooms recreate the aura dating back to Rajput era with its splendid interiors and magnificent architecture. 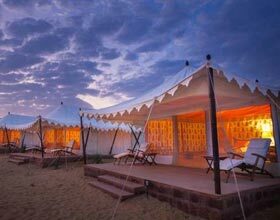 Guests enjoy the mesmerizing experience of lodging in a lifestyle similar to Maharajas during their stay in palaces and camps. 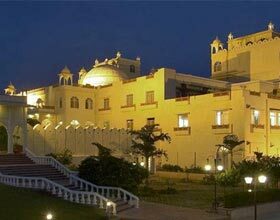 Rajasthali Resort & Spa Jaipur serve delectable cuisines finely blended with traditional culinary skills and vibrant folk savors. 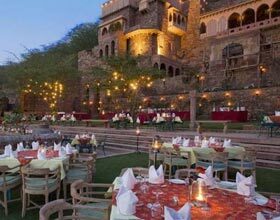 Jharokha Café & Lounge, an all day dining is a paradise for patrons with its array of cuisines from regional and global fares finely blended with amiable staff. 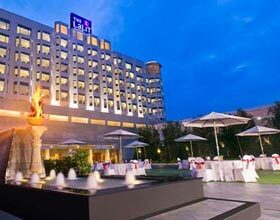 The Sunset Grill is a picturesque venue on rooftop serving exotic and innovative cocktails and mocktails along with finger licking canapés.